Toulouse the cat is a world traveler. 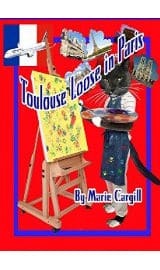 He hops on a jet to explore his ancestors’ birthplace in France and finds out that art is his new interest. He discovers that the beautiful city of Paris is full of surprises, and his life moves in a new direction.